The Lincoln Memorial has long presented an enigmatic problem for historians and archaeologists. Who built this strange marble and limestone monolith, and exactly what is it doing on the National Mall? Well, get excited, history buffs, because a group of researchers say they may have unraveled the mystery of this iconic structure. That’s right. 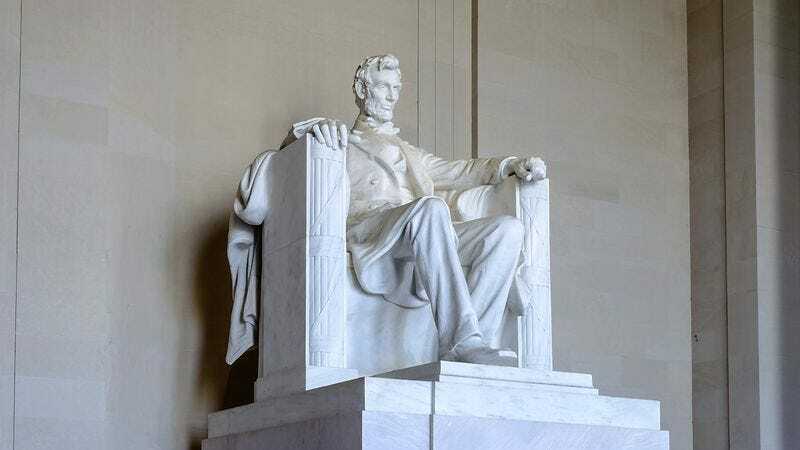 After detailed study, experts have reason to believe that the Lincoln Memorial was actually built as a tribute to America’s 16th president, Abraham Lincoln! Amazing! Karr and his team also used cutting-edge technology in their study of the memorial’s strange seated statue. Examining the figure alongside several well-preserved representations of the 16th president, they were able to observe a strong facial resemblance. While we may never know for sure, one thing remains certain: The mystery of the Lincoln Memorial will continue to perplex and fascinate Americans for years to come!